Here is a 40th birthday gift idea that provides plenty of scope for a fun personalized gift for the birthday person. 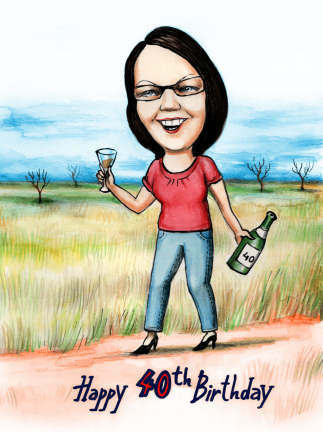 Luckily a caricature is the perfect 40th birthday gift (even for one of the other big birthdays, 21, 40 or 50th) because the caricature can overtly or subtly celebrate the occasion. In the case of 40, the saying is ‘life begins at 40’ so a custom 40th birthday gift is one that allows elements of the person’s previous 40 years to be incorporated into the art. 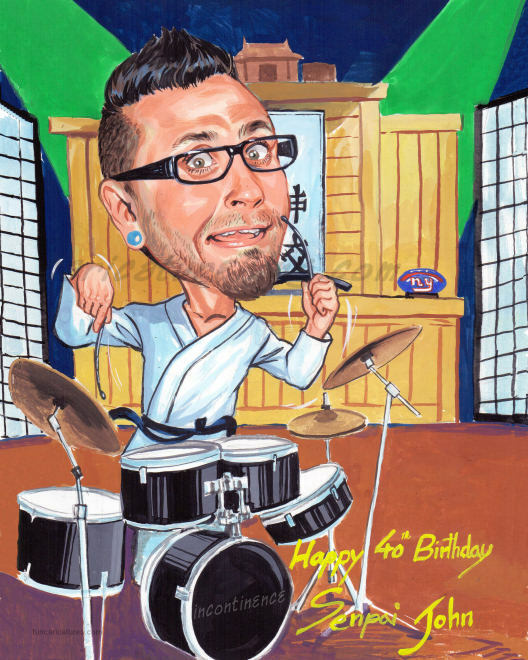 As a 40th birthday gift idea, a caricature has many benefits including totally custom, full personalization, truly reflective of their personality (we have many artists so an art style to suit), flexible – the art can be printed on paper, canvas, be framed, put on mugs, t-shirts etc, can be fun or serious. 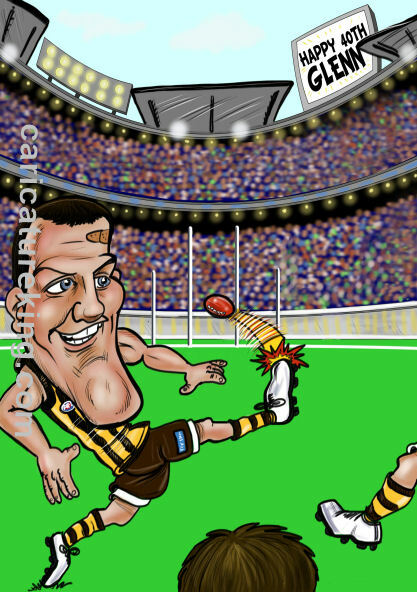 Best of all the process is easy, we draw the caricature from photo, so after ordering just email us the photos you would like us to reference and an overview of what you’d like and we will create something special. We work with you if the idea for the 40th birthday gift needs refining and can also make suggestions if needed.